Why Should You Test Your Jack Russell Terrier? If you are a breeder, prospective dog owner or someone looking for a highly trained dog for specific service work, hunting or the show ring, understanding your Jack Russell Terrier’s genetic health will help you make better decisions concerning your dog. It is always best to test a dog before it is bred so that you are aware of any potential genetic disorders that it could pass to its offspring. DNA tests for specific diseases remain the “gold standard” in determining an animal’s genotype, but in the absence of available DNA tests, phenotypic evaluations are the best alternative. Information regarding the test results from the sire and dam, along with information on other close relatives such as siblings, half-siblings, aunts and uncles allows breeders to apply greater selective pressure to produce normal offspring and avoid affected offspring. The donation of DNA is the most important thing you can do to help our breed. It doesn’t matter if your Jack Russell is the highest ranking at the shows or is the best couch potato ever, our bank needs your terrier’s DNA. The more samples we have in the bank, the better our chances of finding genetic markers. 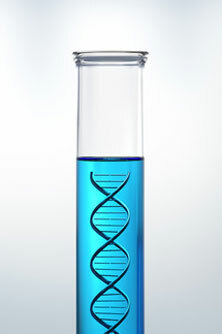 Markers identify the defective genes through genetic testing. We also need healthy DNA in the bank, which helps researchers isolate the unhealthy genes. Studying DNA from both healthy and sick dogs can help researchers gain insights into diseases that affect Jack Russell Terriers. The donation of DNA is the most important thing you can do to help our breed. To donate DNA please print these 3 letters and take them and your Jack Russell Terrier to your Vet. Genetic Data Form – Please fill this out as fully as you can. Letter to your Vet – This is a thank you letter to your Vet from the JRTRF and gives some basic information about the Research Foundation and what we are trying to accomplish. Sample Handling and Shipping – Full instructions for your vet on procedures for taking and handling of samples. Alternatively, you can email Debbie Johnson and she will send you a kit with everything you and your vet will need. The kit includes forms, test tube, and an ice pack for shipping. Also included in the kit is a form to have your Jack Russell tested. Complete this form only if you want testing done as well as donating DNA. You have 2 options available.